Christina Lake, BC Canada is located in the Monashee Mountains near the town of Grand Forks in the Kootenay Boundary Region. In a great central location, Christina Lake is close to Castlegar, Nelson, Osoyoos, Spokane, WA, and many exciting small towns in between. 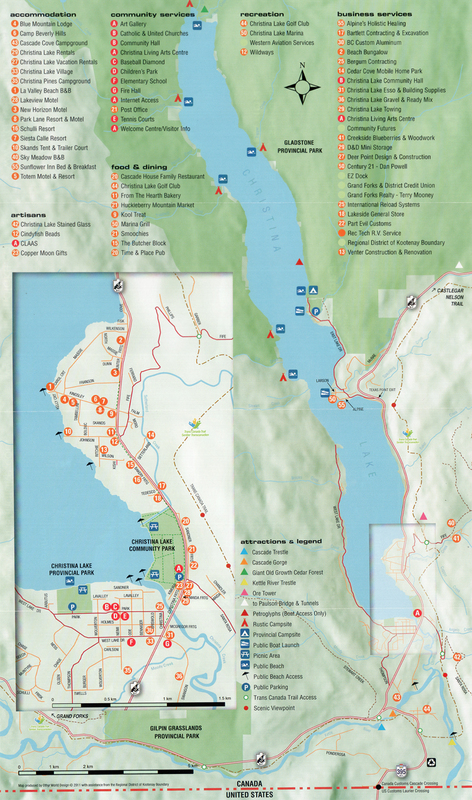 For a detailed view of the town and surrounding amenities, see the Christina Lake Community Map. Christina Lake can be accessed via Hwy 3 from Osoyoos & Castlegar, Hwy 395 from Kettle Falls, WA, as well as other roads from Kelowna and the Okanagan area. It is about a 6 hour drive from Vancouver, a 7 ½ hour drive from Calgary, and a 2 hour drive from Spokane, WA.